Carnavale Resources Ltd (ASX: CAV) has received acceptances and commitments for $580,000, and intends to raise this through a private placement, issuing 29 million shares at an issue price of 2 cents per share. 14.5 million attaching options will also be issues as part of the placement, exercisable at 3 cents on or before November 30th, 2016. The funding round from sophisticated and professional investors is scheduled to close on around the 23rd of June, and the funds will be put towards the company’s Phase 1 planned diamond drilling programme at the Cobra and Rattler prospects on its Red Hills Project in Nevada, USA. 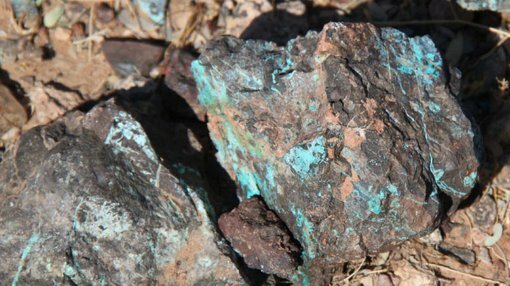 The Red Hills Project in Nevada is about 400km north of Las Vegas and is known as a site that’s highly prospective for large ‘multi-million ounce’ Carlin-style gold-silver targets. CAV’s Project is located along the eastern extension of this prolific trend – where over 150 million ounces have been discovered to date. Despite the significant discoveries on this trend, the eastern portion remains under-explored, spurring CAV to conduct detailed exploration over the coming months via diamond drilling. There have already been strong gold and silver results in rock-chip sampling at Red Hills so far, and combined with the historical workings on the Project, CAV says the sample results to date are ‘encouraging’. Earlier in June, CAV said its Notice for Exploration had been assessed and approved by the Bureau of Land Management for its planned diamond drilling programme at the Cobra and Rattler prospects. This is an important approval step needed in the US in order to be able to drill, and CAV is aiming to complete these final regulatory processes by the end of June. Following this, CAV will start its diamond drilling programme in early July 2015. Phase 1 of the diamond drilling programme for the Cobra and Rattler prospects will involve five diamond drill holes for 1,200m. This will start with three holes being drilled beneath the high grade Au-Ag-Cu-Zn-Pb mineralisation sampled in historic underground stopes at the Cobra Prospect previously, and another two holes beneath the larger underground workings at the Rattler Prospect.